How your MeltCup and QuickCup %C combustion analysis compare? Wherever you live on our beautiful planet, welcome to SF blog hosted from Québec City! Today’s article shares preliminary results from a series of tests SF is conducting to understand performance of different thermal analysis cups for iron chemistry (with tellurium). The goal consists in investigating if there are differences between MeltCup and QuickCup that could influence your repeatability in %Carbon thermal analysis. Figure 1 : The two stands used for the experiment with the QuickCup ( left ) and the MeltCup ( right ). SF used two stands connected to the MeltLab thermal analysis system for chemistry: one stand for MeltCup and one stand for QuickCup ( figure 1 ). Then, the furnace was sampled 4 times for % Carbon (thermal analysis) between 13:07 and 13:47. Consequently, 8 samples resulted from the experiment: 4 MeltCups and 4 QuickCups. What about boiling ? Figure 2 and 3 show the bottom surface of solidified iron slugs of the QuickCup and MeltCup, respectively. If you observe the bottom of the slug, you’ll note that the QuickCup surface is rougher with what appears to be boiling related defects. If you observe the MeltCup slug bottom surface, you’ll see sand burnt on but no boiling-related defect. One thing is for sure, the difference between QuickCup and MeltCup is clearly seen. 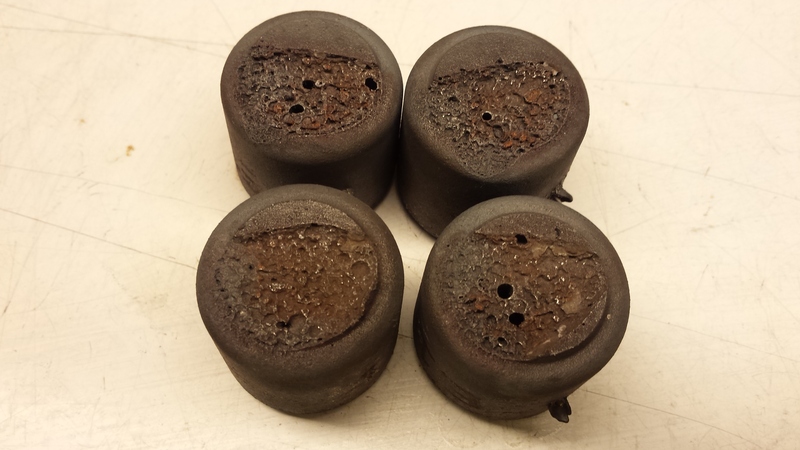 Figure 2 : The bottoms of four iron slugs taken from QuickCup samples, showing what appears to be gas related defects or boiling. 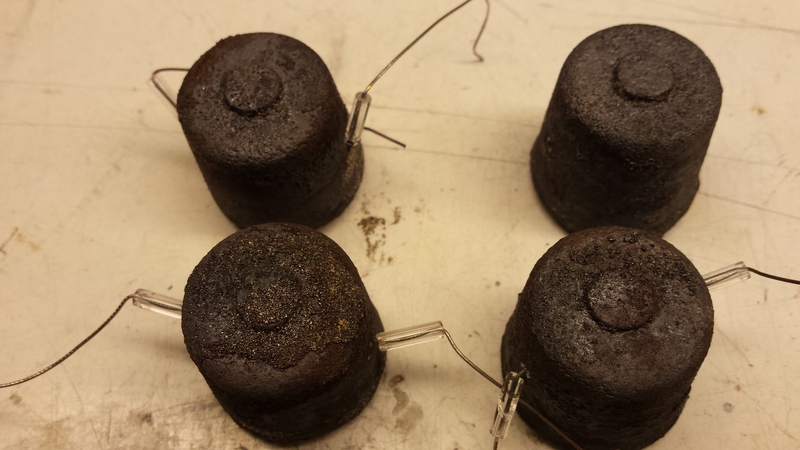 Figure 3 : The bottoms of four iron slugs of MeltCup samples. Burnt on sand but no boiling or gas related defect. From our experience, filling a Meltcup is easier and more calm. There are no boiling and so it’s easier to obtain a full cup. A cup consistently full is important for thermal analysis repeatability. Table 1 shows LECO combustion analysis of the eight QuickCup and MeltCup iron slugs. 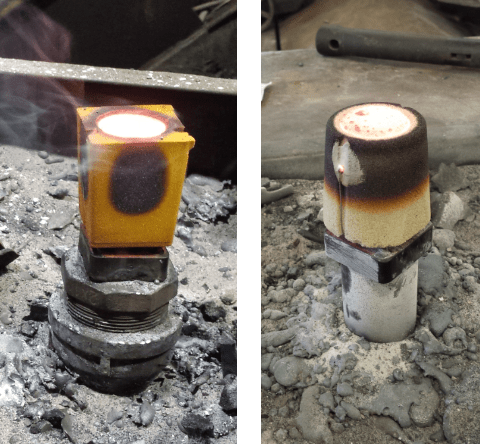 Since the goal is to see how the apparent boiling in QuickCup affects %C versus no boiling in MeltCup, top and bottom combustion analysis of the iron slugs were performed on each samples. Table 1 : LECO combustion analysis for % Carbon and % Sulfur between top and bottom surface of QuickCup and MeltCup iron slugs. QuickCup shows variability in %C and %S from one sample to the other. You want an hypothesis ? 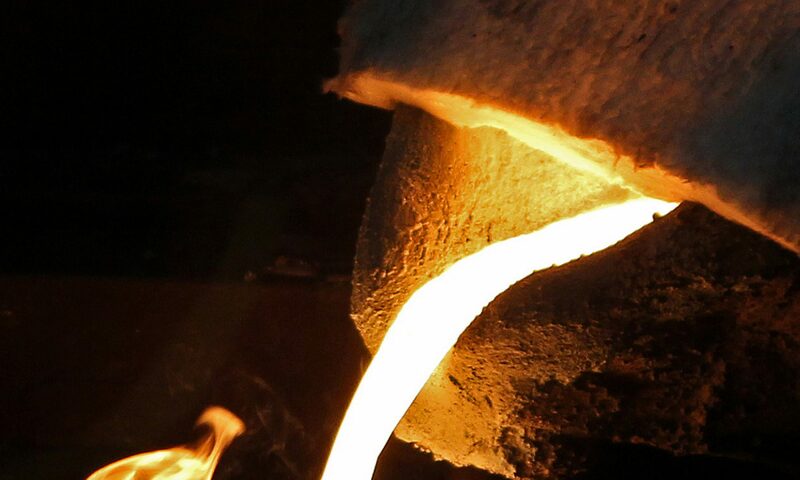 The boiling effect we’ll bring lighter elements like carbon and sulfur to the top of the cup by flotation. More research needs to be conducted in order to verify this hypothesis, we’ll keep you posted. Visual and chemical differences have been reported between QuickCup and MeltCup sample iron slugs. Why is there a difference between QuickCup and MeltCup? How these differences affect accuracy and variability in your %Carbon thermal analysis measurements? Which thermal analysis cup between QuickCup and MeltCup should you use? SF will publish more trials and results on the blog soon. We invite you to conduct your own experiment, just like SF did, and share your results with us! Let’s make better castings together ! Next article on SF blog will be on why our senior engineer Yohan Tremblay will be in India from December 4th to December 11th.